The standard-bearer for surprising musical cross-pollinations, Kaufman Music Center’s Ecstatic Music Festival returns for its seventh year. The festival brings together composers and performers from different musical genres or scenes for collaborations that lead them in fresh, unexpected directions. 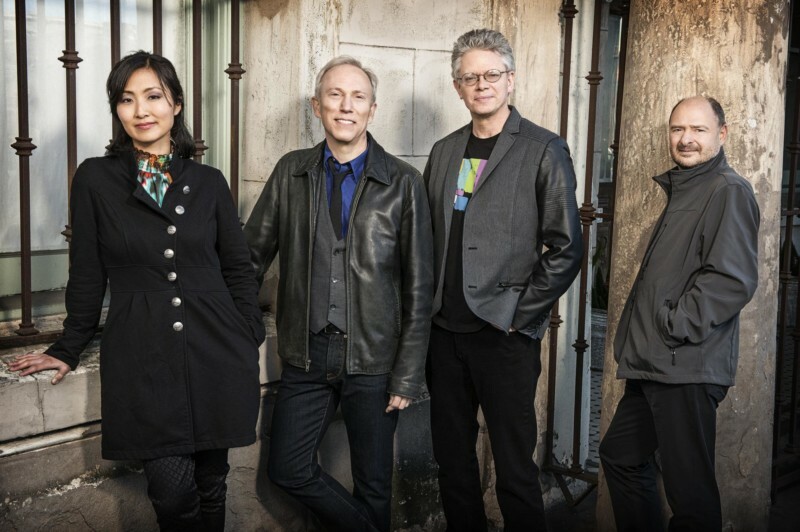 For more than 40 years, Kronos Quartet has combined a spirit of fearless exploration with a commitment to continually re-imagine the string quartet experience, becoming one of the most celebrated and influential groups of our time. They will perform works commissioned for them together with string quartets from Kaufman Music Center’s Face the Music, the acclaimed youth ensemble The New York Times calls “a force in the New York new-music world.” Hosted by Q2’s Helga Davis. Missed out on tickets? A live video stream will be available here at 7:30pm. For the seventh year in a row, Q2 Music is proud to serve as a digital partner for the Ecstatic Music Festival, and will be the home for on-demand audio from the shows and for select live webcasts.